On Friday, June 9th, the 19th annual combined McCague Borlack LLP and Canadian Litigation Counsel golf tournament was held at The Club at Bond Head. 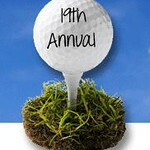 Perfect weather and great camaraderie were enjoyed by 140 golfers! The event raised close to $3,000 for Darearts and there were two graduates on hand.